We have just marked a special Remembrance Day: the 100th anniversary of the end of World War I. As always, the phrase that was used again and again was: “Lest We Forget”. There are events that we make sure we pass on to later generations, times we believe were important in the life of our community or country, which we believe need to be remembered. Something important would be lost, if we did not recognise them. The problem is that we often remember the events, but forget the lessons they teach. And it is those lessons that we have a responsibility to pass on to our children’s children, so that they won’t make the same mistakes as their ancestors did. And some of those lessons we have yet to learn. In this issue, you’ll find a statement issued for Remembrance Day by Greg Rickford, Minister of Indigenous Affairs (click here). 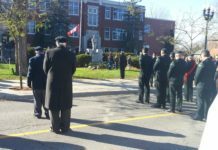 The release stated that it was commemorating Aboriginal Veteran’s Day. I didn’t know there were two different Remembrance Days in this country. Of course, the Minister meant November 11, but it seemed to imply that Aboriginal veterans were not the same as others, and that was unfortunate. 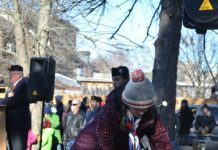 The Minister referred to one veteran, Francis Pegahmagabow. His story is perhaps the best example of the lessons we need to learn from our past, because it has a relevance to Canada today. Francis signed up at the very start of World War I, in August, 1914. He is the most highly decorated indigenous soldier in Canadian history. He was awarded the Military Medal, not once, but three times and was seriously wounded during his time serving in the First World War. As a scout and sniper, he was credited with 378 kills, and he single-handedly captured 300 prisoners. Along with every other man in uniform, he was granted the vote in federal elections in 1917, and returned to his home community of Wasauksing on Parry Island celebrated as a hero and a credit to his people. Then the reality of life in Canada for native people hit home. This hero had his right to vote stripped from him because he was an Indian. Indigenous people did not regain that right until the 1950’s. Although he was Chief of his community for many years, every attempt to improve the lives of his people was thwarted by Indian Agents who dictated every aspect of life on the Wasauksing Reserve. He, along with every other indigenous person in the country, was not allowed to send a letter of protest to the Government, they all had to go through the Agent. Residents of Reserves were under the Indian Act, a piece of legislation that controlled their lives, refused them the right to hire a lawyer to represent them, refused the right even to leave the Reserve without written permission from the Agent. This was how Canada treated its decorated heroes. Is this relevant? Well, we still have an Indian Act, not always as restrictive as in the past, but, nevertheless, the only piece of Canadian legislation specifically designed to deal with a single ethnic community. We still have people living on land without any economic development potential, without clean, safe water to drink, with nothing for their young or old to look forward to in life. Yes, this is relevant. There are so many myths surrounding Canada’s indigenous people and where they fit into our society. Most of them are untrue. They do not “get everything for nothing”, many do pay taxes like the rest of us, and whatever treaty rights they have are compensation for what was taken from them. Even these rights are not always honoured. The First World War was fought, it was said, to protect the rights of small nations, like Belgium. Britain (and therefore Canada) entered the war to protect the neutrality of that country. It is ironic, then, that the rights of small nations, Fist Nations, were so blatantly ignored and degraded, in spite of legal treaties with Britain and Canada. What was fought for then, what we remember every November 11, is that millions of people died to safeguard basic human and civil rights from being infringed upon by bigger and stronger nations. Canada has been doing that very thing to many smaller nations within its own borders for generations. In spite of which, around 4,000 men like Francis Pegahmagabow, that’s around one-third of all indigenous men between the ages of 18 and 45, went to war and distinguished themselves in defending this country. This is something that we, as Canadians must honour, acknowledge, and do what we can to show our gratitude. We must educate ourselves and our children about the First Nations of this country and their history. We must sort out truth from myth, and recognise the rights and status of the people who also died and served, and who were later reduced to children in the eyes of the law of Canada. Lest we forget.